This weekend, we will celebrate Earth Day once again. 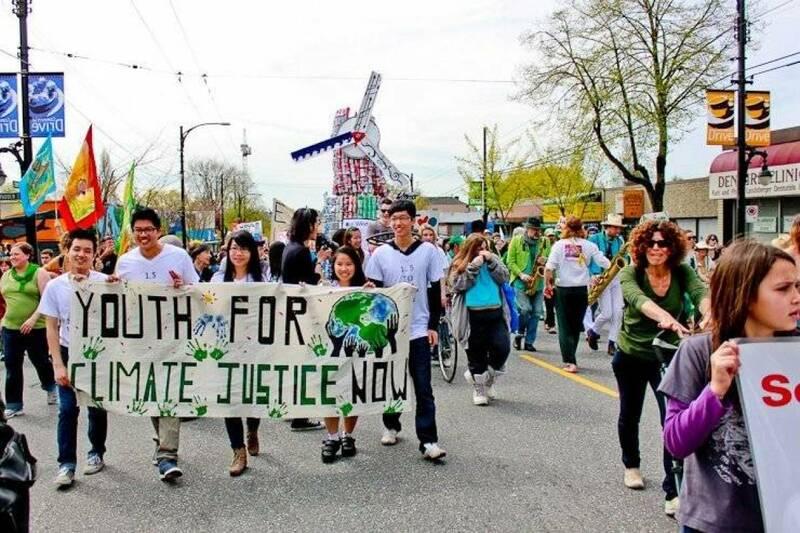 As has been the case since 2011, much of Vancouver’s celebration will take place on the Drive this Saturday. Starting at about 1:00pm, a procession will start at Broadway & Commercial and make its noisy and fun-filled way down to Grandview Park. I took advantage of Saturday’s gorgeous spring weather to do the walk. The Drive was busy, noisy, revelling in the sleeveless warmth, every patio seat filled. It is all change in the Marquee storefronts. Relish Burgers at 2990 Commercial has closed. 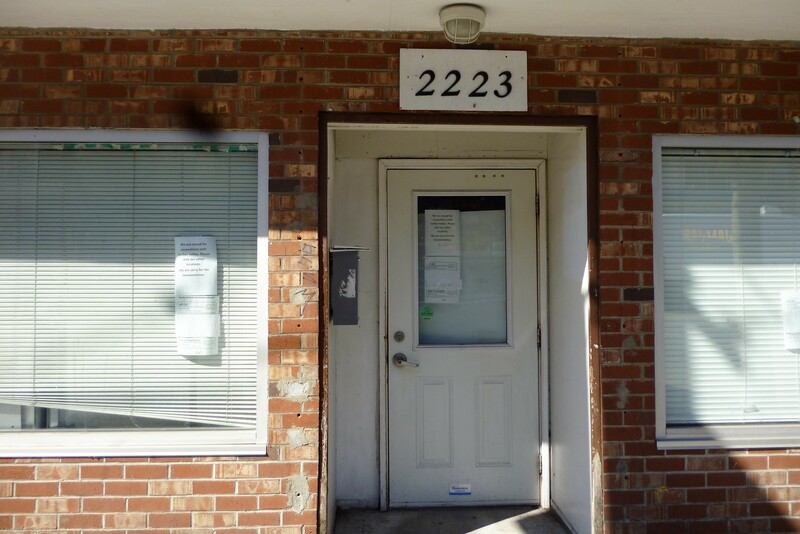 The lease has been picked up by Fadi Eid, owner of the Jamjar restaurant currently at 2280 Commercial. Jamjar will close at 2280 on April 30th and reopen at 2290 the following day. 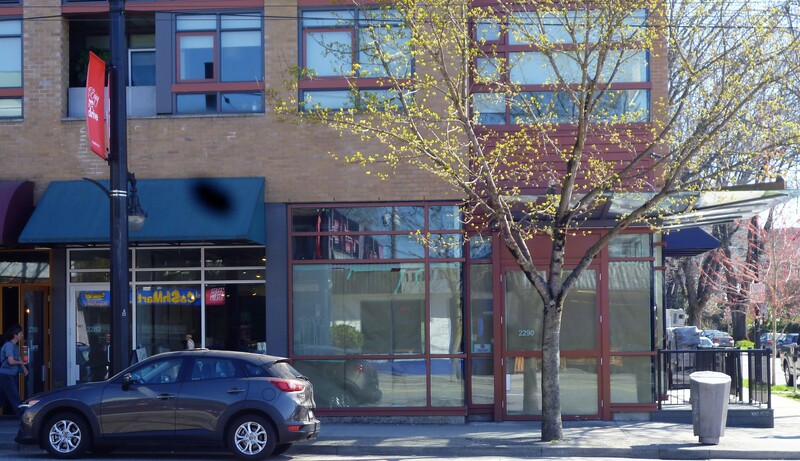 Later in May, 2280 will become the new location for Sushi Loku which is currently located on East Broadway. The Saloniki Restaurant, long resident at 1815 Commercial has morphed into the Park Drive. There is work being done at the Falcone storefronts at 1810 and 1812 Commercial. 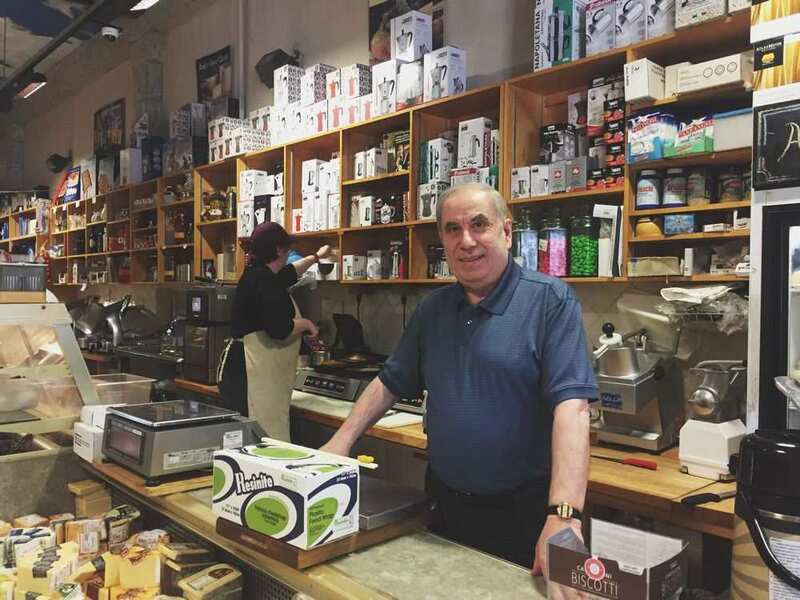 They look far from ready to re-open, but it is good to see some activity there after more than a full year’s closure..
Fortunato Bruzzese’s glorious La Grotta del Formaggio at 1791 Commercial has been selected as the place to get the Best Sandwich in Metro Vancouver by the Vancouver Sun. Meanwhile, Pulp Fiction bookstore has completed its move from 1830 Commercial to 1744 Commercial, a much bigger space. At 1622, La Mezcaleria is the only Commercial Drive joint in Scout’s list of Best Brunches in the City. I happen to think there are some decent brunches available all up and down the Drive, but this one is pretty good. The former Bao Down at 1408 Commercial is still not open, but they have a new awning that announces the imminent arrival of Harbour Oyster Bar. The new Livia Bakery & Cafe at 1395 Commercial continues to attract good press. It was packed from end to end when I walked by on Saturday. 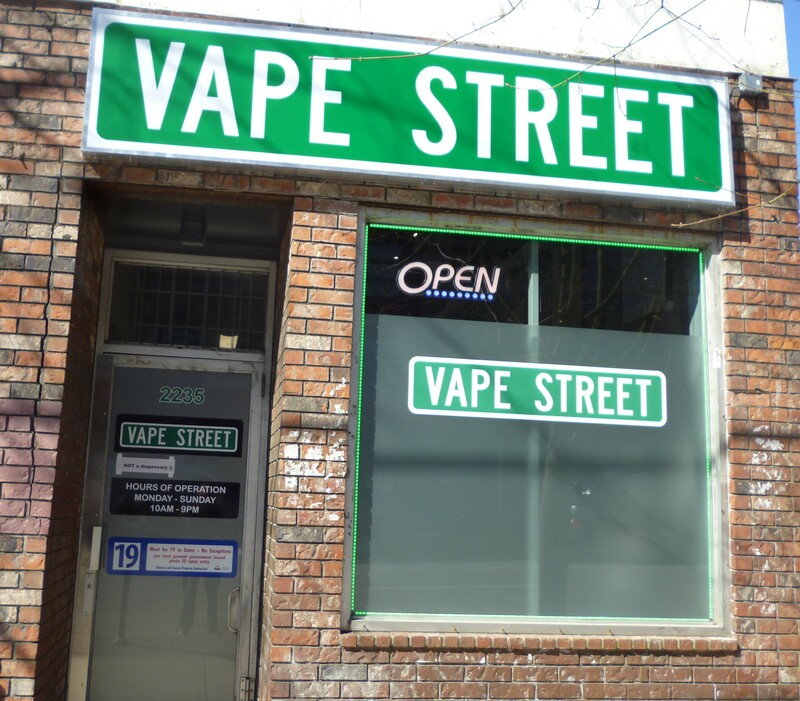 The northern four blocks of Commercial to Venables were unchanged this month. 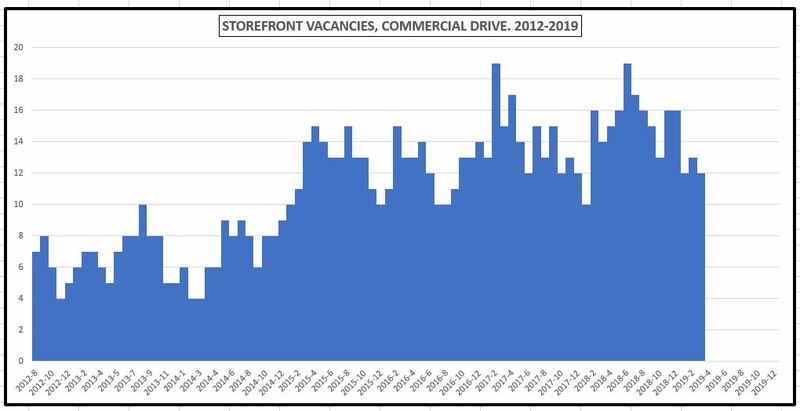 Vacancies on the Drive this month: 2290 Commercial (1 month vacant), 2086 (vacant 15 months), 2088 (15 months), 1840 (2 months), 1830 (1 month), 1812 (13 months), 1810 (13 months), 1801 (27 months), 1735 (6 months), 1706 (2 months), 1409 (7 months), 1408 (12 months), 952 (6 months). Previous Changes on the Drive editions. 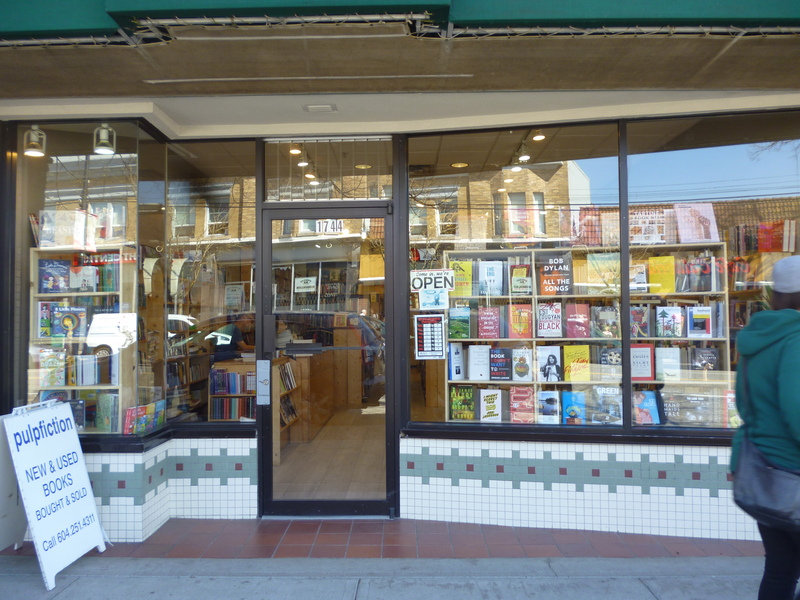 There will be a poetry reading at the People’s Co-op Bookstore, 1391 Commercial Drive, at 7:30pm on Tuesday 2nd April. The readings will be by Christina Thatcher, an American poet and author of More Than You Were, and local poet Leah Horlick, author of For Your Own Good. Admission is free. How can you beat that? GWAC’s next meeting is on Monday 1st April at 7:00pm in the Room above Britannia Ice Rink. This will be a good chance to meet with the new Directors of GWAC, including those who have volunteered to serve since the AGM. There will no doubt be more discussion of Temporary Modular Housing, and perhaps a report from the Open House earlier that day for the large condo proposal in the 2200-block of East Broadway. 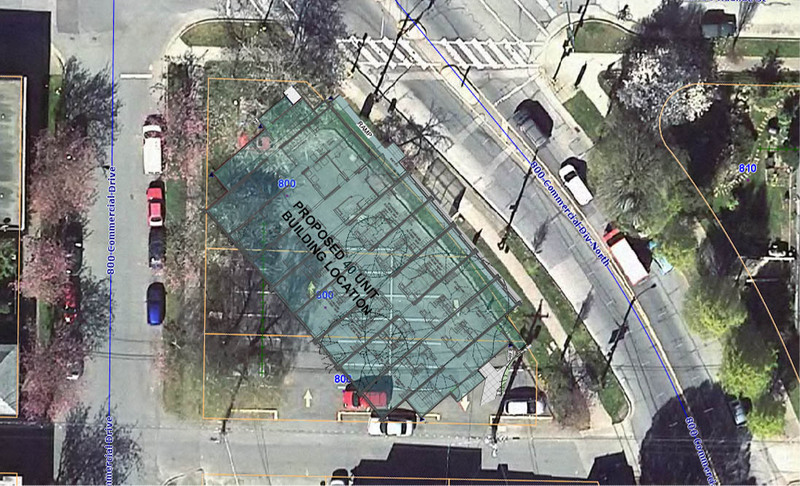 As reported earlier, the No Tower Coalition has been suggesting to City staff and Councillors that the virtually-unused and City-owned parking lot at the corner of Commercial & Adanac would be a perfect site for a Temporary Modular Housing (TMH) project. I understand City staff have nixed the idea, saying the site is unsuitable, presumably on the grounds of size. I believe that is just nonsense. Steve Bohus, a GWAC Director, has produced concept renderings showing that a 40-unit TMH — extrapolated from the existing footprint of the 52-unit TMH at 898 Main Street — is perfectly feasible for the property suggested. Given that we have here a neighbourhood group requesting a TMH in their district (contrary to the City’s experience in some other neighbourhoods) along with a genuine need for such housing, and a suitable property already owned by the City, I think it is incumbent on City staff to explain what their plans are for this site and why those plans would be better for our residents than a TMH; and it is equally incumbent on each Councillor to demand those answers. Admission is free, and the experience will be priceless. 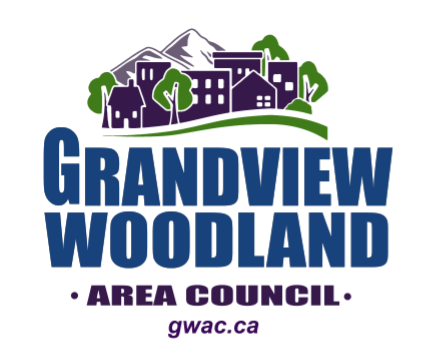 The Grandview Woodland Area Council, the oldest established and one of the most active of residents’ associations, held its Annual General Meeting today at Family Place, About three dozen members were present. After brief reports from the current Chair, Treasurer, and Secretary, the election of directors took place. Four current directors (Dana Cromie, Craig Ollenberger, Steve Bohus, and Susan Briggs) agreed to stand again, while Penny Street was nominated from the floor. All directors were acclaimed and will be the officers for 2019/20. Cathy Low of Save Our Neighbourhood Parks gave a useful speech about the current Parks Board policy of replacing genuine green turf with synthetic rubber surfaces. She is in particular concerned with the plans for Clinton Park, a two block park in the north east of the neighbourhood. Parks Board planning has one block of the Park to have the grass stripped out and replaced with synthetic material suitable for soccer pitches. My understanding is that that section will be fenced off and only made available to paid licensees. This is, as Cathy says, privatizing our greenspace. Cathy notes that teams from across Vancouver will book times to play and that teams waiting to play on the new surface will use the other half as a practice pitch while they wait. Thus, the entire park will be lost to the general public. 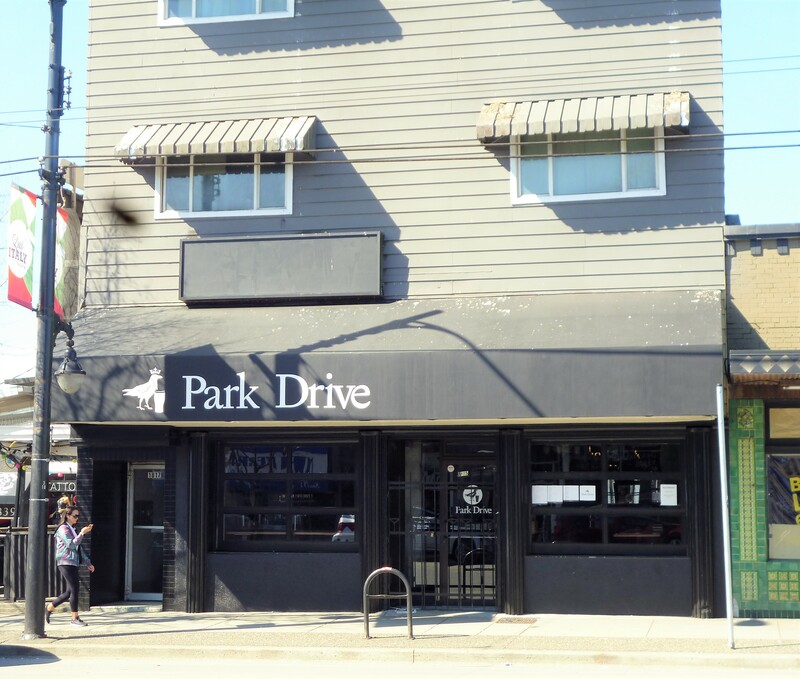 Moreover, the increase in car traffic will significantly disrupt neighbourhood parking. The group has a Facebook page and a petition at the link given above. The eastside in general, and Grandview Woodland in particular, are already deficient in greenspace. It seems nothing but crazy to take away the little we already have. These seems like an issue that would fire up the Greens but Cathy’s interactions with Green Parks Board members has been quite the opposite. We know how that feels. 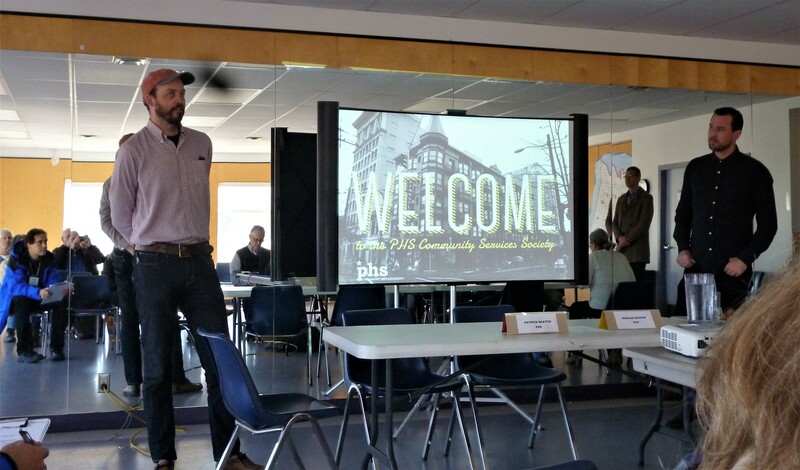 The balance of the meeting was a presentation by Patrick Beattie and Duncan Higgson of the Portland Housing Society regarding their history with Temporary Modular Housing (which has lately become an issue here). TMH, built in BC, are designed for a 50-year life span and each TMH facility can be moved inexpensively from one site to another as need arises. All in all a useful meeting. It is a shame that only 30+ people came. The No Tower Coalition, the OCOP group that was active during the Community Plan exercise, the Grant Street and First Avenue projects have proved that large groups of people can be activated for specific projects and issues. We have yet to successfully educate the general populace that these “single” issues are actually part of a planning and development continuum that are best looked at in a wider perspective, the kind of perspective that an organization such as GWAC and, even more broadly, the Coalition of Vancouver Neighbourhoods can present. You are currently browsing the archives for the ** Grandview & The Drive category.